Why do African Americans have the potential to be such great athletes? 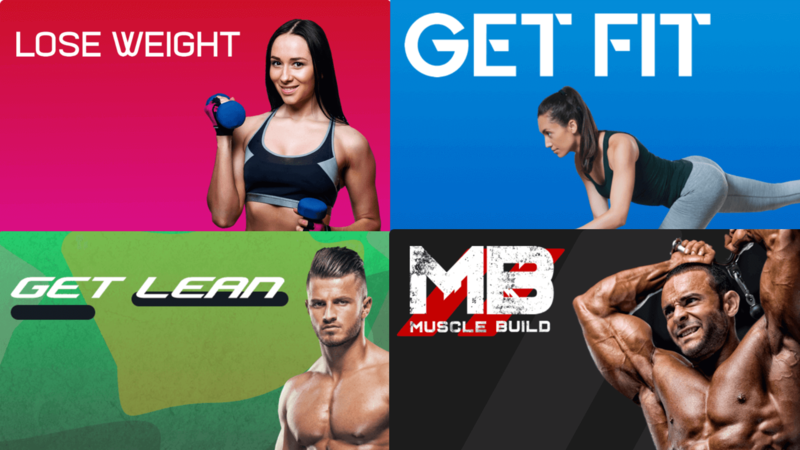 Here at FitnessGenes™, it’s the detail of theories that interests us, and we believe this is a phenomenal example of philosophy, hypothesis, and science. But first, a little history. Between 1492 and 1888, approximately 12 million Africans were transported to the Americas through the Atlantic Slave Trade. Today, their descendants are in excess of 150 million people. For the purpose of this article, we are using the term ‘African American’ because it represents geographical heritage. The fact is African Americans are generally faster, and they do have a higher vertical jump when compared to other groups. All of the above is true, but why? We all originate from Africa after all! Well, the following is one of the best theories that we have read to date, but we are going to have to take a slight detour, and tell you about a condition called sickle cell disease. Sickle cell disease is a group of disorders that affects haemoglobin, the molecule in red blood cells that delivers oxygen to cells throughout the body. People with this disorder have atypical haemoglobin molecules called haemoglobin S, which can distort red blood cells into a sickle or crescent shape. There are ranges as to how affected you are by this, depending on your genetics. As you all know, you inherit genes from both your mother and father. If you inherit a normal haemoglobin gene from one parent and a sickle cell gene from your other parent, you will have what’s called sickle cell trait. This means that you might suffer from a much less severe version of sickle cell disease, because you will still have enough normal haemoglobin. If you have a sickle cell gene from both of your parents, you will suffer with full-blown sickle cell anaemia, which includes a huge array of debilitating conditions and death at a very young age. Now, would you believe that 40% of people in equatorial Africa carry a single copy of the gene mutation for sickle cell disease, and 1 in 12 African Americans carry a single copy of the gene mutation. This is clearly a huge over-representation of this particular mutation, so there must be a reason for this. Historically, one of the biggest killers in Africa is malaria. When you have a single copy of the sickle cell disease gene mutation, you suffer much less severe symptoms of malaria, so actually, in survival of the fittest, having a single copy of the mutated gene holds true. But this also means that theoretically, such individuals would probably transport less oxygen in their blood. That being said, the best individuals to have surviving would be those that carry the single gene mutation to survive malaria, and are also able to perform daily tasks such as work, hunting, etc, but with a reduced overall oxygen demand. And here is the neat part: what type of muscle fibre requires less oxygen? Fast-twitch muscle! So this is one of the theories why African Americans are fast and make such great athletes. It’s potentially because they have more fast-twitch muscle as a result of the way they have evolved in Africa to be able to survive malaria! We find this theory fascinating! Discussing this topic is extremely delicate because of the horrendous cloud in humanity the slavery period created. As a tribute to this, we opted to include the picture that we did, which is at the 1968 Olympic games. African-American athletes Tommie Smith and John Carlos raised their fists as a display of black pride. They both accepted their medals in black socks to represent black poverty. 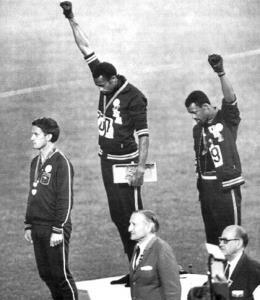 The Australian silver medalist Peter Norman wore an Olympic Project For Human Rights badge to show solidarity. Both Americans were expelled from the games as a result of their actions, but returned to the USA as heroes among African Americans. Related to this story: Why do Jamaicans Dominate Sprinting and Africans Dominate Distance Running?